Google Express is kind of a central aggregate site you go to to make purchases from various stores. Instead of heading to different sites and adding your details to each, you have one central hub, and it's been adding more and more partners. Walmart is still one of the most important ones, but right now there are a little over 50 supported and Overstock has joined them. I don't live in the US so I've heard very little about the store, but from my quick research it does seem to have a bit of everything with focus on home furniture/decoration and household products. You'll find some electronics there as well. 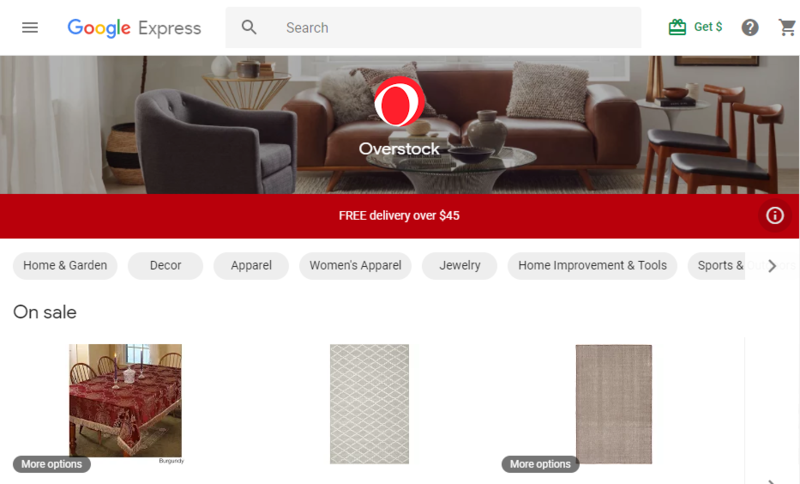 So if you're an Overstock customer or you want to check them out, head over to the source page below to give them a go through Express. You can also shop on them via Google Home if making purchases with your voice is more up your alley.